Terra Firma Brands offers producers of quality wines, beers and spirits a nimble, experienced sales and marketing team to help sell product into the competitive Ontario Market. In 2009 Nick Hirons had the simple vision to create a wine agency that would search out great wines from around the world while providing excellent value to the consumers of Ontario. As a result Terra Firma Brands was born and has been proudly serving the consumers of Ontario ever since. We also have a very active HoReCa program. We have a successful permanent listings program which continues to grow into 2017. Our current suppliers represent wine regions from the world over and we are particularly active in the Rhone and south west France as well as Spain. Our beer program is concentrated in Europe, specifically Belgium, the Netherlands and the UK. We area constantly on the look out for products worthy to be added to our portfolio, we look forward to hearing from you. Terra Firma Brands employs 7 people, 4 of whom are sales people who focus on store visits and staff tastings and training. Our staff cover all of Southern Ontario, where 80% of the population live. Prior to joining Terra Firma Brands, General Manager Fiona Burke,worked at Vincor and then Constellation for 5 years in Ontario Sales and Retail. Marketing Director, Marnie Williamson, has spent the last 5 ½ years with the Independent Wine Education Guild (IWEG - the Ontario WSET Approved Program Provider) as Program Development Manager. During that time student enrolment more than doubled and course curriculum grew over 400%, as she grew the WSET business and implemented new programming including Ontario content and the highly successful seminar Signature Series. I originally met Nick Hirons in the summer of 2008. I was referred to Nick at that time by a well respected wine writer based in Toronto. Since then we have carved out a nice market for our Napa Valley wines. It’s taken patience to execute business with the LCBO, but thanks to Nick in 2011 alone we’ve realized four (4) significant purchase orders. He’s consistently up to date on relevant tenders for my brand and I appreciate his candid demeanor should I have questions of any kind. 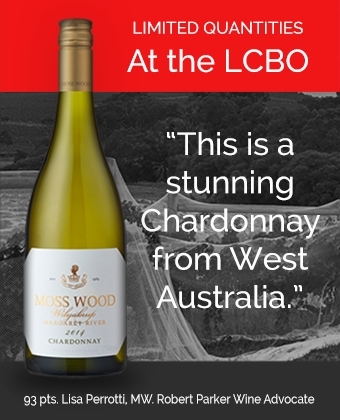 His knowledge and solid base in Ontario have allotted us wine sales in a Province that is otherwise unreachable. I recommend Nick’s business, Terra Firma Brands, and am happy to see him doing business with fellow vintners I’ve referred to him. Nicholas Hirons is a simple man who simply loves wine, spirits and beer – and has the expertise to guide your brand in the Ontario market. The newest addition to the Terra Firma Brands team is Marnie Williamson, who brings her passion and knowledge of wine to Ontario tables.